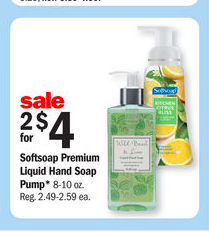 Meijer: $0.70 SoftSoap Premium Handsoap! There will be a coupon in this coming weeks Sunday's inserts. Plus there is a Mobisave rebate! I would do this deal on Sunday as the Mobisvae rebate may not reset on Monday for the addition $0.30!